Welcome to our inspiring music played by Latin harp. After many years of being involved in the Latin music scene, 2018 is a special year for me as I am coming back to Brisbane after many years of being in Colombia, in which I had the great opportunity to be one of the harpists from The Centro Cultural in Cajica (Bogotá) directed by el maestro Miguel Angel Guevara Castro. 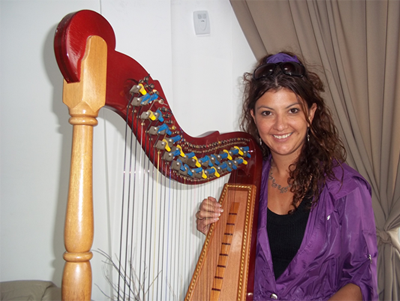 Winner of “The Gold Lira” awarded to her by The Association of Authors and Compositions of Colombia “SAYCO” Sandra is one of the most successful harpists in Colombia. She has introduced her own style, as well as new ways of making music with this melodic instrument. Sandra and her harp have the one soul! Her music and style is incomparable. The sound of the harp gives every music played a taste of joy for the audience. The shape of the instrument makes the acoustic of every string harmonious and makes for lively sounding music. I hope you enjoy our music! Bienvenidos to Cachicamo Latin Harp. As the event coordinator and musician of Cachicamo I had have the pleasure to enjoy playing strings, and percussion with different ensembles. I really enjoy sharing our music and culture; I can say that any music played in a Latin style makes a colourful and bright sound. I invite you to listen the music performed by Cachicamo Latin Harp and join us on Facebook to be updated on our concerts. Interested in percussion instruments, Elkin began his artistic profession playing congas and bongos as a member of the "Colombia Chirimía y Tambores” for nearly 15 years. He has been influenced by the Caribbean rhythms of Colombia . He is a multifaceted musician. After his studies of percussion in Colombia , he began to learn to play “cuatro”, which complemented his musical knowledge. His style is possibly determined by one word “Salsa”. 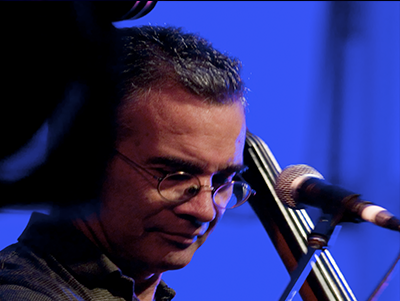 Brisbane-based John Varney is an established professional double bass player with professional distinction in virtually all areas of music. He has played in almost all of Australia’s symphony orchestras, led a highly successful salsa band for many years and has professionally performed in Persian, Turkish and, more recently, Indian ensembles. A graduate of S. Cecilia Conservatorium, Rome, Italy, where he studied with the eminent double-bassist and pedagogue, Maestro Franco Petracchi, he has performed professionally in Europe, South America and the U.S.A. 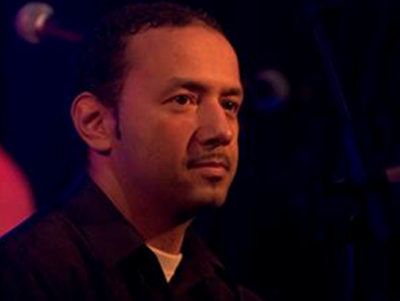 He is currently active as a freelance double bassist, band-leader, composer, arranger and ethnomusicologist. He has recently had published a rhythm concept project with TED-Ed, which has had well over 1,000,000 views.